Scott J. Preiss is Vice President, Chief Operating Officer, CUSIP Global Services (CGS)/S&P Capital IQ, which administers the CUSIP numbering system and the CUSIP International Numbering System (CINS) for the United States, Canada, and various global territories under contract to the American Bankers Association. Under Scott’s direction, CGS is responsible for the development and operation of the ANNA Service Bureau, launched as a central hub for the consolidation and distribution of ISIN data from >120 global markets, and jointly operated with Six Financial Information, Zurich. CGS/S&P Capital IQ also provides a variety of cross-referencing, obligor and entity-identification solutions to market participants for risk management and compliance needs. Previously, during Scott’s tenure as director of CUSIP Operations, a major revitalization and upgrade of CUSIP’s infrastructure was implemented that facilitates the numerous securities issuance procedures in a real-time environment. He has been actively involved in the industry’s effort to standardize legal entities, securities descriptive data and product classifications, and has chaired the ANSI-accredited standards group X9D in that regard. Scott regularly lectures on standardization, reference data and risk management, both in the U.S. and globally. Scott is a member of the Enterprise Data Management Council (EDM), the Executive Committee of the SIIA/FISD, SIFMA, Various ISO Working Groups (including ISO TC68 SG1 that examined LEI), and is the Chairman of the ASB Advisory Board. 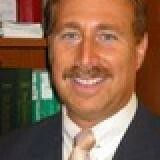 He is a member of the New York, and New Jersey Bar Associations and has a B.B.A. in Business/Finance from Pace University, New York and a J.D. from New York Law School.